RIDGEFIELD, Conn. and INDIANAPOLIS, Oct. 4, 2018 /PRNewswire/ -- Boehringer Ingelheim and Eli Lilly and Company (NYSE: LLY) announced today that empagliflozin met the primary efficacy endpoint, defined as a change from baseline in A1C versus placebo after 26 weeks of treatment, for all doses investigated (2.5, 10 and 25 mg) in the Empagliflozin as Adjunctive to inSulin thErapy (EASE) Phase III program in adults with type 1 diabetes. The EASE program results were published online in Diabetes Care ahead of print and presented at the 54th EASD Annual Congress in Berlin today. Empagliflozin is currently not approved for use in type 1 diabetes. The EASE-2 study evaluated doses of 10 and 25 mg of empagliflozin as an adjunct to insulin over 52 weeks, while the EASE-3 study evaluated doses of 2.5, 10, and 25 mg of empagliflozin as an adjunct to insulin over 26 weeks. In EASE-2, placebo-corrected mean change from baseline in A1C at week 26 was -0.54 percent and -0.53 percent for empagliflozin 10 and 25 mg, respectively. In EASE-3, placebo-corrected mean change from baseline in A1C at week 26 was ‑0.28 percent, -0.45 percent and -0.52 percent for empagliflozin 2.5 mg, 10 mg and 25 mg, respectively. In addition to reduction in A1C, empagliflozin treatment was effective on secondary endpoints, showing reductions in weight, decreases in blood pressure, and decreases in total daily insulin dose. In addition, data from continuous glucose monitoring in the EASE program indicates that patients treated with empagliflozin had improved glycemic variability and spent more time in range, although the data for the 2.5 mg dose are limited. There was no increase in the risk of investigator-reported hypoglycemic events, including severe hypoglycemia, with empagliflozin treatment, which was a key secondary endpoint in the trials. Additionally, a reduction in patient-reported hypoglycemic events was observed. The number of adjudicated diabetic ketoacidosis (DKA) events was comparable between empagliflozin 2.5 mg and placebo, and higher than placebo with empagliflozin 10 and 25 mg. Apart from incidence of DKA, the safety profile observed in the EASE program was generally consistent with the previously reported safety profile of empagliflozin in adults with type 2 diabetes. "The goal of the EASE program was to determine if treatment with empagliflozin could benefit people with type 1 diabetes as an adjunct to insulin," said Bernard Zinman, M.D., professor in the Department of Medicine, University of Toronto and senior scientist at the Lunenfeld-Tanenbaum Research Institute, Mount Sinai Hospital, Toronto, Canada. "Given the risk of diabetic ketoacidosis for people with type 1 diabetes, the 2.5 mg empagliflozin dose warrants consideration, as it balances glycemic and metabolic improvements that are relevant to patients without increasing their risk of DKA or other serious adverse events." Based on the totality of the EASE data, Boehringer Ingelheim has initiated regulatory discussions for empagliflozin as adjunct to insulin for adults with type 1 diabetes. "The EASE trials showed that empagliflozin – an oral treatment – in combination with insulin has potential to help manage blood sugar levels better than insulin alone in adults with type 1 diabetes," said Thomas Seck, M.D., senior vice president, Medicine and Regulatory Affairs, Boehringer Ingelheim Pharmaceuticals, Inc. "Given that less than one third of adults with type 1 diabetes in the U.S. consistently meet target blood sugar levels solely with insulin, we look forward to working with the U.S. Food and Drug Administration to explore whether this potential treatment can be made available to people with type 1 diabetes." Jeff Emmick, M.D., Ph.D., vice president of product development for Lilly Diabetes, added, "The Boehringer Ingelheim-Lilly Diabetes Alliance is committed to helping people improve the management of their diabetes, and the EASE program is part of our broader efforts to explore treatment options that address unmet needs." Approximately 30 million Americans and an estimated 425 million adults worldwide have type 1 and type 2 diabetes. Type 2 diabetes is the most common form, accounting for an estimated 90 to 95 percent of all diagnosed adult diabetes cases in the U.S. Diabetes is a chronic condition that occurs when the body does not properly produce, or use, the hormone insulin. The EASE Phase III program includes two multinational, double-blinded, placebo-controlled Phase III clinical trials to investigate the efficacy, safety and tolerability of once-daily Empagliflozin as Adjunctive to inSulin thErapy in adults with type 1 diabetes (EASE), an indication for which empagliflozin is currently not approved. Empagliflozin is an SGLT2 inhibitor used along with diet and exercise to lower blood sugar in adults with type 2 diabetes. It is the first and only oral diabetes medicine approved to reduce the risk of cardiovascular death in adults with type 2 diabetes and established cardiovascular disease. The benefit-risk profile of empagliflozin has been well-established in its approved indications. Empagliflozin is currently not approved for use in people with type 1 diabetes. In January 2011, Boehringer Ingelheim and Eli Lilly and Company announced an alliance in diabetes that centers on compounds representing several of the largest diabetes treatment classes. The alliance leverages the strengths of two of the world's leading pharmaceutical companies. By joining forces, the companies demonstrate commitment in the care of people with diabetes and stand together to focus on patient needs. Find out more about the alliance at www.boehringer-ingelheim.com or www.lilly.com. Boehringer Ingelheim Pharmaceuticals, Inc., based in Ridgefield, Conn., is the largest U.S. subsidiary of Boehringer Ingelheim Corporation. Boehringer Ingelheim is one of the world's top 20 pharmaceutical companies. Headquartered in Ingelheim, Germany, the company operates globally with approximately 50,000 employees. Since its founding in 1885, the company has remained family-owned and today creates value through innovation for three business areas including human pharmaceuticals, animal health and biopharmaceutical contract manufacturing. Boehringer Ingelheim is committed to improving lives and providing valuable services and support to patients and their families. Our employees create and engage in programs that strengthen our communities. Please visit www.boehringer-ingelheim.us/csr to learn more about how we make more health through our Corporate Social Responsibility initiatives. In 2017, Boehringer Ingelheim achieved net sales of about $20.4 billion (18.1 billion euros). R&D expenditure corresponds to approximately $3.4 billion (three billion euros), or 17.0 percent of its net sales. 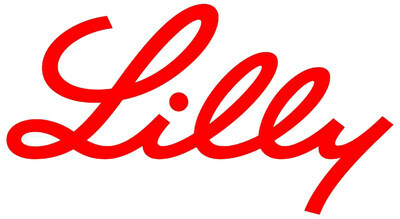 Lilly has been a global leader in diabetes care since 1923, when we introduced the world's first commercial insulin. Today we are building upon this heritage by working to meet the diverse needs of people with diabetes and those who care for them. Through research and collaboration, a wide range of therapies and a continued determination to provide real solutions—from medicines to support programs and more—we strive to make life better for all those affected by diabetes around the world. For more information, visit www.lillydiabetes.com. This press release contains forward-looking statements (as that term is defined in the Private Securities Litigation Reform Act of 1995) about the expansion of clinical trials to evaluate empagliflozin as a treatment for adults with type 1 diabetes mellitus and reflects Lilly's current belief. However, as with any pharmaceutical product, there are substantial risks and uncertainties in the process of development and commercialization. Among other things, there can be no guarantee that future study results will be consistent with the results to date or that empagliflozin will receive additional regulatory approvals. For further discussion of these and other risks and uncertainties, see Lilly's most recent Form 10-K and Form 10-Q filings with the United States Securities and Exchange Commission. Except as required by law, Lilly undertakes no duty to update forward-looking statements to reflect events after the date of this release.